We’ve entered into what is often the most difficult time of year for shopaholics, the holidays. I probably should have done this post several weeks ago, as it seems the holiday shopping season begins earlier and earlier each year. Even in mid-October, I saw glittering red and green decorations festooned among the displays at Macy’s. Stores don’t even wait until Halloween has passed to start the holiday push. If you’re anything like me, you have a long history of overshopping during the holiday season. In many ways, this time of year creates a “perfect storm” of temptations for those of us who struggle with compulsive shopping. In today’s post, I highlight some of the primary danger zones inherent in holiday shopping, along with some tips for dealing with them. Do you succumb to the temptation of “Black Friday” sales? Once heralded as the beginning of the holiday shopping season, at least in the United States, Black Friday is the “grand poohbah” of sales. Virtually every store in the country, from department stores to big box stores to small “mom and pop” shops, offers special limited Black Friday sales. Many of these sales have even seeped into Thanksgiving Day, as the stores try to one-up each other and capture their slice of the holiday shopping pie. Before long, I fear that Thanksgiving Day store closures will be a thing of the past. Of course, many people don’t like to immerse themselves in the chaos that is known as Black Friday, so the retail industry came up with a wonderful (insert sarcasm here…) alternative for them. Cyber Monday was born, allowing the “crowd-phobic” to partake of all the irresistible deals from the comfort of their own homes. I’ve never been one to brave Black Friday, perhaps due to my propensity for claustrophobia, but I’ve definitely dipped my toe in the Cyber Monday pool. I recall spending countless hours scouring the Cyber Monday deals last year. Although I’d already far exceeded my shopping budget for the year, I didn’t want to miss out on all of the fabulous deals on offer. The items I ended up purchasing were all ill-advised and were either returned or added to my list of “wardrobe benchwarmers” in short order. My advice regarding Black Friday and Cyber Monday is to avoid the temptation altogether. It’s far too easy to buy things you don’t need and won’t use simply because you fear you might miss out on a deal. At such sales, we often get swept up in the buying frenzy and buy more than we need in order to “score” additional discounts. Think about it… How many things have you bought at these holiday sales that you were happy with? In contrast, how many do you wish you’d left at the store or in your online shopping cart? Set a budget for your shopping. If you’re shopping the brick and mortar stores, use cash instead of credit cards. Place your shopping budget in an envelope and leave your credit cards at home. Shop with a list. Itemize what you plan to buy and adhere to that list. If you’re shopping for friends and family members, decide how much you plan to spend for each person and write down ideas of what to buy for them. This will help to keep you on track and less tempted to buy other things. Remember H.A.L.T. – Don’t shop when you’re hungry, angry, lonely, or tired. If you’re not a night person, don’t go to the mall at midnight on Black Friday. Get some sleep so you’ll have your wits about you when you shop. Take some snacks and water with you, as it will likely be difficult to get food and drinks in a crowded mall. Take a break – Before you buy anything, take a few minutes to check in with yourself. Ask yourself if you really need what you’re considering buying. If possible, take a “power pause” or at least allow yourself a bit of time to be sure you’re making a good decision. If you’re shopping online, leave your computer and take a short walk or call a friend before clicking the “buy now” button. Although it may sound like it, I’m not completely against sales shopping. However, I do feel that many overshoppers make a lot of mistakes in such environments. If you’re on a fixed budget, sales can help you get more for your money, but don’t allow yourself to “settle” simply because something is being offered at a low price. You should always shop with a list, even if you’re shopping a sale. If something you truly need and want is on sale, great. But remember, it’s only a deal if you end up using it! Somewhere along the line, the holidays became associated with gifts more than pretty much anything else. We’re told to show our love for the people in our lives through buying them things. Many of us feel a great deal of pressure to find the perfect gifts to appropriately communicate the warm and loving feelings we have toward our family members and friends. In some cases, we don’t even feel all that warmly toward these people, yet we feel compelled to buy gifts for them out of a sense of obligation. We may even put ourselves into deep financial debt simply because we feel we should buy gifts for everyone we know. 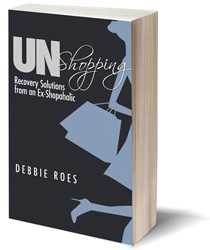 Many shopaholics struggle with feelings of insecurity and inadequacy. 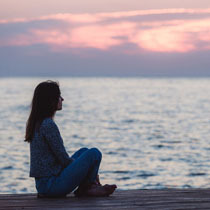 We often don’t believe we are good enough and our buying can be a way to compensate for feelings of lack within ourselves. The holidays really bring out these feelings and can push our shopping into overdrive. Not only do we shop for ourselves, but we buy – and buy and buy – for everyone else in our lives as well. We buy things for others to express our love, as well as to try to earn love from difficult parents, siblings, children, and friends. In some cases, we feel that others are expecting amazing and fabulous presents from us, when all they really want is the pleasure of our presence around them at the holidays. The pressure to buy the perfect gifts often comes more from within ourselves (along with the retail industry, of course) than from anyone else. For years, I was the ultimate Christmas shopper. I carefully selected what were often overly extravagant gifts for a large number of people. I bought more than I needed to buy and spent far more money than I needed to spend. In the process, I often made other people uncomfortable, as they either didn’t buy anything for me or their gifts were much more modest by comparison. I had positive intentions with all of my buying, but it was so unnecessary. A small thoughtful gift or a card would have sufficed in almost every instance. I no longer buy Christmas gifts for most of the people in my life. Little by little, others requested that our gift exchanges be discontinued. At first, I was sad at this new development, as I enjoyed shopping for gifts, wrapping them, and presenting them to the recipients. I felt like much of the joy of the holiday season was being taken away from me. Over time, however, I’ve come to feel relieved at no longer needing to brave the crowds at the mall and the post office. I see and read about the stressed out masses and am glad to no longer be among that group. I still enjoy decorating and baking when the holidays roll around, as well as watching the holiday movies and television specials. I even like many of the Christmas carols that are played ad nauseum wherever I go. I’m not a very religious person, but I still enjoy the special and sacred true meaning of the season. If you’re like I used to be and you break your back and the bank each year with your holiday shopping, I’d like to make a few suggestions for what might be a better way of doing things. Give experiences instead of gifts. Instead of giving your loved ones clothes and trinkets they may not appreciate or use, give them an experiential gift or better yet, share an experience with them. Give a gift certificate for a massage or a facial, or go together for a manicure or pedicure. If they like sports or music, buy tickets to see a game or a show together. For movie lovers, how about taking them to a new release and springing for the refreshments, too? Spouses may opt to take a short vacation in lieu of gifts to each other. These are just a few possibilities in the experiential gift realm. How about a homemade gift? I often bake cookies and bread for my loved ones at the holidays (and other times). I find these gifts are always appreciated and there’s no need to worry about where to put them over the long term. Baked goods are only one type of homemade gift that can be enjoyed. If you like to sew, knit, or craft, you can make all sorts of wonderful presents for the people on your list. Photo albums or personalized calendars are also appreciated, especially by parents and grandparents. Homemade gifts feel very personalized and are often kept for many years to come (other than the baked goods, which are usually devoured within a few days!). Exchange names. Instead of buying gifts for your entire family, how about drawing names and buying for just one family member? The same can be done among groups of friends. This will allow you to focus on one person, make him or her feel really special, and spend less time and money on shopping overall. Set some limits. Rather than having the sky be the limit for your gift expenditures, apply some limitations on how much you spend, how many things you buy, or both. This is something you can do on your own or upon agreement with your loved ones. Set a number you feel comfortable with that doesn’t leave you strapped for cash come January first. Challenge yourself to buy meaningful gifts instead of expensive gifts. It’s not necessarily easier, but it can be fun for you and touching for the other person. Opt for no gifts. This is how it is in my family these days. The only people I buy for are my mom and my niece and nephew (ages 4 and 10). My husband and I sometimes exchange gifts, but other times we just do Christmas stockings and then share a fun experience together. You can still spend time with your loved ones, but removing the pressure of buying gifts can eliminate some of the holiday pressure for all of you. I could write a lot more on this topic, and I’m sure I’ll have other holiday-themed posts, but I hope the perspective and suggestions I shared are helpful for you. While overshopping and overspending are often the holiday norm, it is possible to go too far in the other direction and adopt a “Bah, Humbug!” attitude toward the holidays. While I haven’t taken things that far, I do feel that I’ve lost some of my enthusiasm for this time of year. This year, I plan to recapture some of my holiday joy through revisiting past traditions and creating some new ones. Although I definitely don’t wish to go back to the place of rampant consumerism that was my status quo for many years, I do want to appreciate what can be a fun and joyous time of year. I’m not exactly sure how I’ll do this just yet, but I’m setting the intention here and now. If you’ve also lost your holiday enthusiasm amidst the commercialism and buying frenzy, I invite you to join me in taking the holidays back. If you’ve managed to carve out a beautiful oasis for yourself in the middle of all of the chaos, please share what has worked for you. I would love to read your tips for keeping the holidays special without going into debt or stress overload. I’m sure we can all learn from each other’s lessons, challenges, and mistakes. ← Salespeople Are Not Your Friends! I pretty much stopped buying gifts for people years ago, and I’ve spread word around that I don’t want any either. I know that’s very bah-humbug ish, but I have everything I need, and if I want something, I’ll just get it for myself. I much prefer to bake cookies if I need to give something to someone. It’s cheaper, more fun, less stressful, and I’ve noticed much more appreciated by the recipient than anything else I’ve ever given. You and I are on the same page! I agree regarding less stress and I love to bake. I do still buy a few gifts, but I used to go nuts (both literally and figuratively). My recent holidays have been far more sane! A fantastic post! I love your holiday plans this year! Please keep us posted. A suggestion: use the money you are not using on Black Friday/Cyber Monday towards an experience (a trip, a meal, a concert…) that you can share with someone. My credit card expired in the end of Oct and I have yet to pick up a new one. This lapse – living for three weeks in a cash-only household – has been curiously enlightening, as I’ve been unable to access the money in my account and have had to limit my last cash withdrawal to absolutely necessary expenses (which turn out to be food, movie and bus tickets, stamps, our house cleaner’s fee). I will eventually have to pick up the credit card because I need it while travelling, but this experience has made me realize how impulsive I’m with abstract e-money and how extremely controlled I am with cash. You have really come a long way, FrugalFashionista! Thanks for sharing what you learned from being cash only for 3 weeks. We definitely think more about the things we buy using cash. I like your tip about spending money on a fun experience. I will definitely share my holiday experiences on the blog! I took my own advice and went to a concert last night with my husband and parents. It was fantastic, I will probably remember it forever – and I even got a free ticket! Makes me wonder why I don’t do things like that much more often. I also talked with a bunch of people there. While I will probably never see them again, I loved the brief shared moment of connection. I discovered that my debit card can still be used at ATMs although my credit card doesn’t work. So I’ll continue the cash-only experience at least until the end of the month! Thanks for sharing your wonderful concert story! You really drive the point home well about experiences over things. I love that you’re continuing the cash-only experience a bit longer. I tried that in the past and found that I really spent my money much more carefully and wisely. I will definitely keep a small capsule of going out outfits. I will also dress some of those pieces down by combining them with more casual items. It would be nice if my social life became more active. I am hoping for lots of good things in the coming year! My family decided many years ago to stop buying presents for each other and so now I only buy something for my mother and my son. My mother gets practical items as she is elderly and my son gets one main thing that he has chosen already. It is very liberating as I no longer have to think about each and every person and what I could buy for them, no panic shopping for last minute gifts etc. Instead we just enjoy the day, the food and getting together. Thanks for sharing your more peaceful holiday experience, CS. Did you really shop all night in the past? I’ve never done that, but I did have numerous trips to the mall and closing the stores down (when they used to close at 10 or 11 pm). I’m so glad I don’t do that anymore! As soon as the stores start decorating for the holidays, as soon as I hear the words “Black Friday”, my shopping brain totally shuts down and I seldom venture into a store unless it is for necessity. There is no pleasure for me in shopping during the holidays–I find the garish decorations to be cheap looking: visually offensive and distracting. I don’t decorate my own home except with the most subdued nod to the season. No plastic decorations are allowed. I have never felt the need for a holiday to tell me to give a gift, because I so am generous with my friends and family all throughout the year, I have no motivation to express my feelings through a pricey present at Christmas. I am acutely embarrassed to receive expensive holiday gifts as well. This is not to say that I refrain from giving gifts. I do select small gifts for everyone–something unique for them, perhaps something handmade, but certainly not expensive so as to make a statement. I host a holiday dinner at my home every year, and consider the gift of gathering to be more memorable than any object. So I am the retailer’s holiday nightmare. My credit card statements for the month of December show I only purchase the necessities! You really have the right idea, Deby. I agree that it’s best to be generous all year round rather than waiting for a holiday and for cues from the retail industry. I think small, thoughtful gifts are often much more appreciated than the “grand gestures.” I know I’ve appreciated handmade gifts when I’ve received them. I agree with you about the garish holiday decorations! I’m in the subdued holiday decor camp as well. Holidays is quite the seasonal trap indeed! Everything is festive in the shopping street, and gift shopping can be an excuse to get stuff for myself as well… It is also difficult to handle the problem of receiving a lot of material gifts when trying to simplify. We have put together a few useful tricks with my loved ones: for family, I make a list of what I’d like to get (mostly consumables like tea etc. or a bigger gift I can’t afford, which people team up to get me) and I enquire their needs and wants by asking their spouse or siblings for example. For friends, we organize “Chritmas parties” earlier in December. The rule is to bring one little gift, I’d put a number on it when each guest arrived, and we’d pick a number and get a gift at random at the end of the evening. I think in any case, the key is communication between the people who give and receive gifts for the holiday season! I love your holiday suggestions, Kali! I agree that communication is key. Often, people try to read each other’s minds, when a short conversation would alleviate much of the stress. I like the early Christmas party idea and the idea of offering gift ideas. Thanks so much for sharing. I love your suggestions for buy experiential gifts and exchanging names. My family has decided to exchange names and have each member of the family only give a gift to one other person this year, and I think it will lead to a more thoughtful Christmas. It allows you to really devote some time and energy to finding or making something that that person will enjoy, rather than merely ‘ticking people off your list’. I’m also planning on giving an experience that I can share with that person as my one gift. I find that kind of thing to be far more enjoyable for everyone than material objects! That’s great that your family will be exchanging names this year, Emma. I’m sure the recipient of your experiential gift will be very appreciative and will remember the gift for years to come. I haven’t received too many experiential gifts myself, but I know I would like them. Perhaps I should start a trend and lead by example! I still buy quite a few Christmas presents for family, but I have a budget and a list and I stick to it. This year I did even better and didn’t buy any decorations or wrapping items. I had plenty so I decided to use what I had. Several years ago I noticed that we were just trying to make it through the holidays as quickly as possible and that made me sad. Now I make sure I take the time to set up a tree, bake cookies…..lots and lots of cookies, and enjoy the time visiting with people that I don’t get to see very often. I hate Black Friday and I will avoid stores for the entire month of December. I guess in that regard I will end the year on a possitive shopping note. That’s great that you didn’t buy decorations or wrapping items this year, Tonya. We usually have lots of those things left over, too. I’m glad to hear that you have been able to put more joy into the season. I hope to do the same this year. Just wanted to share a few things that we do over the Christmas season. We live in Australia, and our school year finishes early December, so my first rule is that all Christmas shopping, especially for the kids needs to be completed before December! For the last few years, I have participated in Ali Edwards December Daily (read about it here: http://aliedwards.com/december-daily). Without getting caught up in purchasing all the kits and stuff, I find it is a great process for savouring the season and spreading it out over the entire month, rather than just focussing on one day. I haven’t been real diligent in completing albums, but just taking a few photos, and writing a few words each day, has been enough to capture some beautiful memories and traditions. This year I have splurged on Courtney Carver’s ’31 Days of Gifts You So Deserve’ http://bemorewithless.com/gifts2013/ which sounds like fun. For the last couple of years, I have been giving homemade Christmas Cakes as gifts, for teachers and special friends and family. Last year I made 12 in 2 weeks! It means quite a bit of preparation work for me with a busy toddler, but it is easy, and they are always appreciated. We also send out 80+ Christmas cards and a letter with lots of photos each year – again, a lot of work, but we have a process. Everyone loves to receive a letter/card in the mail, so it is always worth it. I find the key is to be organised. I have a book, that I write down throughout the year all the ideas I have for gifts for children and family, and what I have purchased. Every activity/party is logged in my diary and we pick and choose what we want/need to do. We actually find November is a much busier month than December. I am also following this Australian blog http://www.abeachcottage.com/2013/11/love-christmas-home.html. Featuring some great daily ideas on how to have ‘a pretty, (but) not perfect little Christmas’. Well worth a browse. 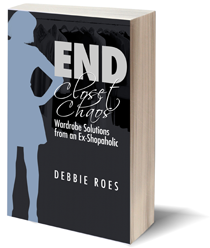 I enjoy reading your blog, Debbie , and often find your posts insightful! Thanks for the opportunity to comment. I am also from Australia but live in Europe. Christmas here is completely different from back home. There are no TV ads reminding us that there are only 45 shopping days till Christmas, no maddening Christmas jingles being played or Santas everywhere you go, no all-night trading frenzy (the local shopping centre will stay open till 10pm on one night. We don’t have Sunday trading either.) Kids get their gifts in a small stocking, there are no giant Santa Sacks here. Christmas here seems to be much simpler and all about the food and then a welcome winter break for a few days. The decorations don’t go up until December either. I do miss the seafood BBQ and the hot weather but I appreciate the simplicity here. In my family there will be one present for each person, a lovely lunch and then we will all go out and play in the snow!!! Thanks for sharing your holiday plans, Nicole. It seems like you’ve found lots of great ways to make the holidays meaningful for yourself and your family. I plan to do Courtney’s “31 Gifts” as well and I’m looking forward to it! I also look forward to checking out the other links you mentioned. I’m always open to new ideas for holiday traditions, especially those that don’t involve spending lots of time in crowded malls! CS, I had no idea that things are so different in Europe. Perhaps some other European readers will chime in with their experiences as well. I’m glad the commercialism hasn’t spread all over the world! Your Christmas sounds like it will be both simple and special, two characteristics that mean a lot more to me as time goes by. I only exchange holiday gifts with two girlfriends — all the rest of my family and friends stopped gift-giving over 20 years ago. The gifts I do give are for experiences (museum membership, etc. ), and I don’t give THINGS. I have never gone shopping on “Black Friday” — when I gave gifts, I purchased them at art fairs or museums throughout the year or I made them or I gave memberships, subscriptions, and so on. Some years I have a holiday open house to welcome friends and families during the festive season. I don’t see the need to knock oneself out over what is supposed to be a religious holiday. I like the idea of giving experiences instead of things, Dottie. A few others have shared this as well, so perhaps it’s becoming more of a common practice. I think it’s always nice when we can either share a fun experience with the recipient or give them something they will really appreciate and enjoy. Holiday open houses are fun, too! I just went to one the other day and enjoyed it. Guilty. Years ago (and for many years) I was a Black Friday shopper and I shopped for clothes, of course. But no more. Thankfully I broke that habit long ago. We celebrate Christmas and when my three kids were growing up I brought gifts for them. But now I give my time as a gift to my family. For the entire holiday season I do my best to give my utmost attention and really listen to my husband, family members and friends. And I carve out time to do special things for them. It’s good to hear from a reformed Black Friday shopper, Terra. I’m sure your family and friends appreciate the gift of your time and attention so much more than the things you used to give them. I grew up getting a lot of gifts from my father, but he wasn’t around very much. I know I would have appreciated spending time with him more than the gifts. But I am truly at a point in my life where more stuff is just more stuff. And for that I am very thankful. I agree with you about it being better to pick things out myself, Cornelia. My husband can pick some good things for me, but he prefers that we go shopping together to buy things for each other. Even better, we’ve both leaned more toward sharing experiences instead of buying gifts. I am in the “more stuff is more stuff” camp, too. I’m still working on the clothing piece, but I’ve cut far back on other possessions (and have made good progress with the closet as well).